Growing up in the South I would buy French Bread on a weekly basis for sandwiches that we call, Po' Boys. We would have turkey and ham po' boys or hamburgers or shrimp. The perfect loaf French Bread or Po' Boy Bread will be have a crunchy crust that is able to stand up to gravy or mayo or fall apart from overstuffing them with deli meat or seafood, and a fluffy and airy inside. 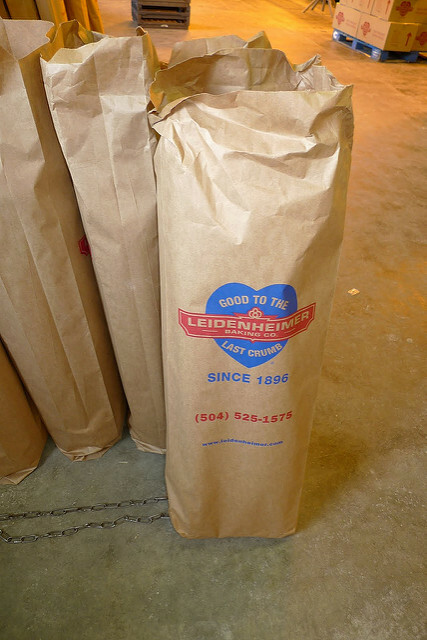 A famous brand of French bread around here is Leidenheimer and it is the best around. A little brief history of Louisiana Po' Boys, around the late 1920's during a four mouth strike against the streetcars company, two brothers served their former colleagues free sandwiches and at their restaurant referring to the strike the workers they would call the sandwiches 'poor boys' with the Cajun dialect it would sound like 'po' boys' and it stuck. 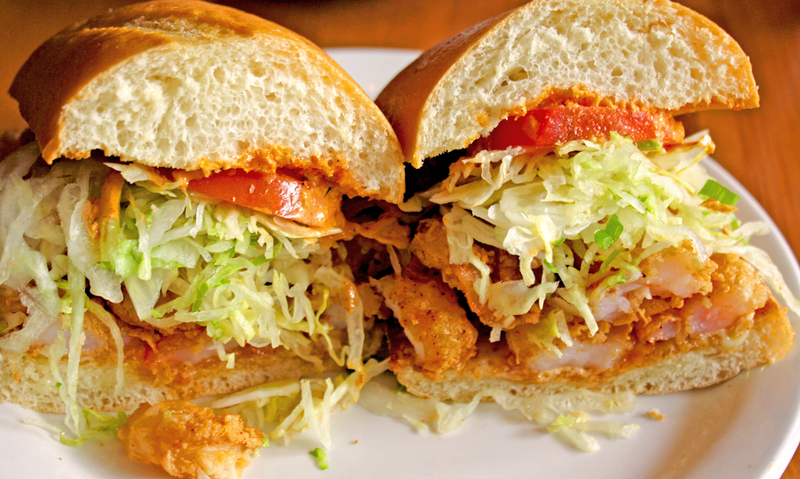 There are hundreds of restaurants just for po' boys in Louisiana alone. Its a tradition in my house for every Thanksgiving or Christmas we have Cajun Turkey Po' Boys with Brown Gravy. My family have been eating that for that kind of Po' Boys for the last 10 years and I've been making this bread for the last 5. Poolish is like a sourdough starter but you don't let it sit as long. It gives the bread airiness and flavor. Combine flour, warm water and yeast together. Cover bowl with plastic wrap or unused shower cap and let it sit for 12 hours. Combine flour, dry active yeast, sugar, warm water, sea salt and olive oil with poolish. Mix with a spoon until well combined, it will be tacky but don't worry about that then let it rest for 30 minutes. Flour your counter then kneed the dough for 5 minutes. You might need to add flour as you knead it. Fold it into a long envelope then add a little of flour in a large tuberware bowl or square, anything big enough room for it to expand. Cover it and let it proof for 3 hours, it will double in size. After it proofed for 3 hours punch down or drop the dough then cut into three. Place on a parchment paper cover cookie sheet let it proof again for an hour. You can place one loaf on three separate pan, I places one on a separate pan and two on together. Preheat oven to 400 degrees. Place a lasagna pan or casserole dish on the second rack of your oven and pour water half way up. Cut three slits down the bread then brush remaining olive oil on top and bake with the steamed water for 10 minutes. Remove pan of water, be really careful with the hot pan. Bake for another 8 minutes. Rotate halfway through. Remove from oven and let the loaves cool for 5 to 10 minutes before eating. Enjoy it as a po' boy or sandwich. Spread garlic butter and cheese. Alone or with butter. Thank you for this recipe. I love baking. Would try for sure. You are so welcome. It is certainly delicious. I love the history behind local food. Great article! You have made me so hungry now and I am trying to be vegan/gluten free!!!! This is a great recipe that you can use gluten free flavor. I normally use butter and honey but I'm trying as much as I can cut out any animal products or by-products. My husband loves these in New Orleans. I have to try this recipe! Thank you so much! You are so welcome, I hope you enjoy it. I never have tried baking breads, this recipe sounds too tempting not to try. Thanks for sharing! The carb lover in me is doing flips. This looks good!